2 5/16" Large heavy pucks. 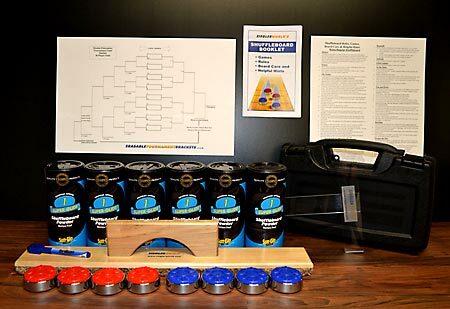 Large pucks are used on tables greater than 14 feet. GREAT PRICE! Pucks shipped in Red/Blue colors. Bonus #1 - 1 can of Sun-Glo #1 - Super Glide Wax with your purchase! 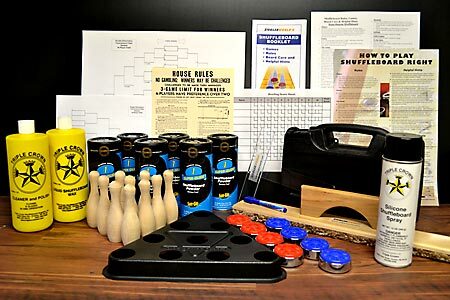 Bonus #2 - Zieglerworld.com Shuffleboard Booklet. 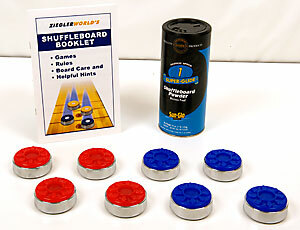 This 8 page booklet features different Shuffleboard Games, Rules, Helpful Hints & Board Care! 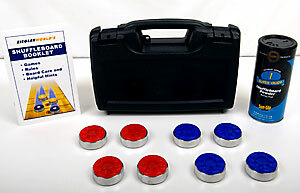 Website price 8 Pucks Plus one can of wax & Booklet - $89.99 with FREE Shipping! ADD a Puck Carrier Case to the above offer for only $8 More! 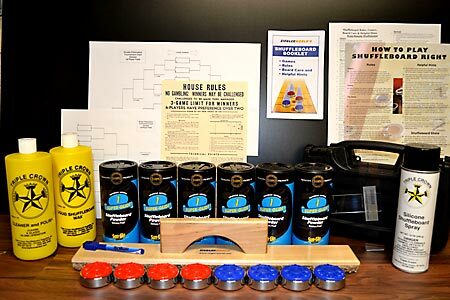 You'll get the 8 Pucks, one can of Sun-Glo #1 Super Glide Wax, Our Shuffleboard Booklet and the Carrier Case! Zieglerworld Website price $384.00 with FREE Shipping! MORE THAN OUR INCREDIBLE Starter Kit Package DEAL, EVEN MORE THAN OUR ULTIMATE DEAL, This Super Offer Includes 4 Additional Items! MORE THAN OUR Starter Kit Package DEAL, This Great Offer Includes 4 Additional Items! Zieglerworld Website price $229.00 with FREE Shipping!